This flying saucer construction is not the new film set for Marty McFly and Dr. Emmett Brown to speculate on the future while riding hoverboards. Nor is it Tarkovsky’s secret comeback from the dead to start a new Solaris trip. 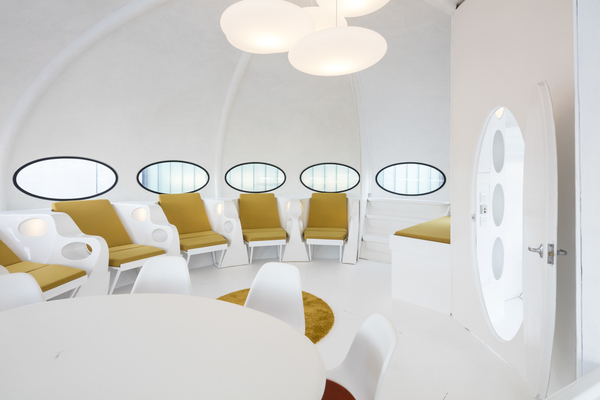 It is one of the few remaining Futuro Houses designed in the 1960s as a portable ski chalet by the Finnish architect Matti Suuronen. Today there are fewer than 100 of these holiday spaces, which were created as a solution to shortages in housing and space. They were thought to be ahead of their time, however, when the 1970s oil crisis hit, the prices of the fabric and plastic used to make the chalets soared, and production stopped. 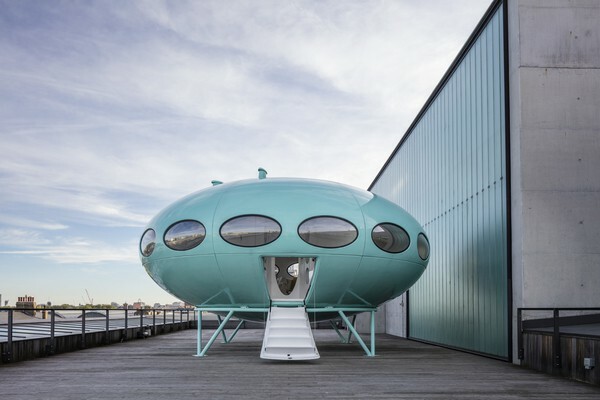 This blue, spaceship-like home was bought by Central Saint Martins alumnus Craig Barnes, who saw the house when he was still a kid on a family trip to South Africa. “My parents originate from South Africa and this house was sitting on the streets in a small town that I visited over the years as a child,” said Barnes. Soon after he graduated, he decided to put all of his savings into the Future House and managed to buy the rare and intriguing home. He was then able to ship it over to the United Kingdom, where he decided to restore it. 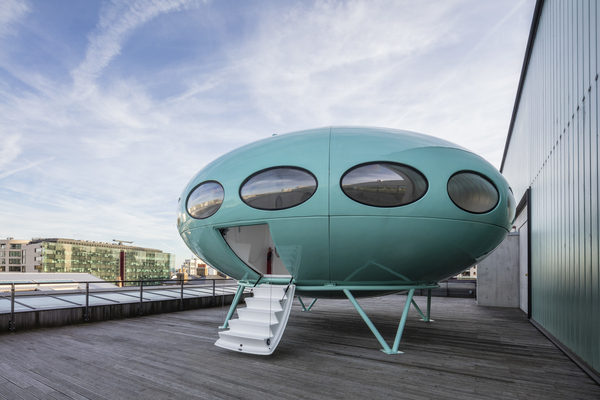 CSM have arranged a year-long loan agreement to be able to showcase the Futuro House on the college’s roof terrace until September 2016. Staff and students will be able to use the space to host events, which will be related to the futuristic theme of the house. It will also be open to the public on the first Wednesday of every month. For more information, you can visit www.futurohouse.co.uk. Featured imagine by John Sturrock.